Verizon and Apple have opened their website to accept orders for the Verizon iPhone. The Verizon iPhone was available for pre-orders for existing customers last week, but is now available for the general public. 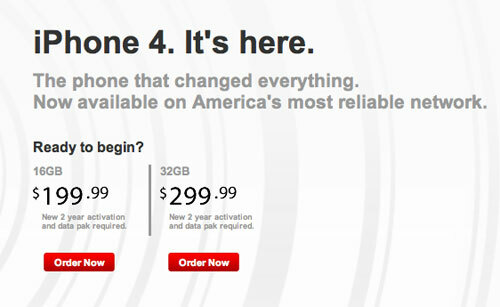 The Verizon iPhone will be available in stores on February 10th.